Tennis Elbow vs Golfers Elbow- Which is it? Find out! Tennis elbow vs golfers elbow, both affect the arm with pain that may spread to your forearm and wrist and at times, the aching sensation may extend to the fingers. 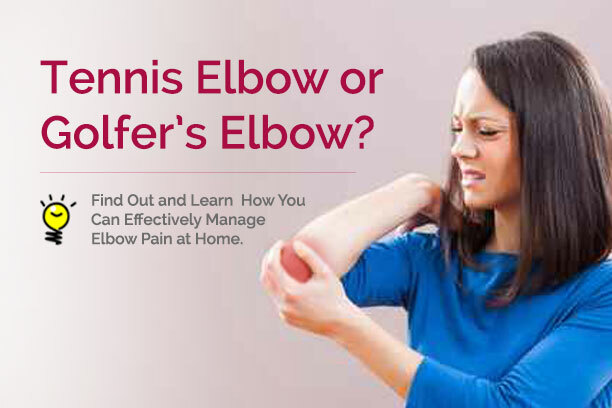 Tennis and golfer’s elbow are both characterized with persistent pain, swelling and redness – all of which affect your everyday life. As troublesome these conditions may be, there are things you can do to accelerate your healing process. Yes, it is possible to get back to your the regular swing of things. How do you know if it’s golfers elbow or tennis elbow? Both golfer’s and tennis elbow occur when tendons attached to the elbow are inflamed. It could happen to anyone even if you are not into tennis or golf. The difference between these two conditions is the place where the inflammation occurs. Tennis elbow affects the outside epicondyle of your elbow while golfer’s elbow affects the inside epicondyle. Tennis elbow is common to people ages of 30-50 when the backhand and forehand muscles are overused which lead them to become inflamed. Inflammation is usually seen around the forearm and elbow areas. Pain can be felt from the elbow extending to the wrist and forearm. Seasonal activities like raking or wood cutting can cause tennis elbow. Painters, plumber and carpenters are also likely to get tennis elbow because of the repetitive manner of their job. Golfer’s elbow (medically known as medial epicondylitis) is where inflammation occurs on the tendons attached to the forearm muscle inside the elbow’s bone. This inflammation happens when the tendons and muscles in the forearm are damage from overworked or repetitive motions. Golfer’s elbow is characterized with pain and tenderness. Golfer’s elbow and tennis elbow treatment approach are almost identical. Knowing the right first aid for tennis or golfer’s elbow is essential to alleviate pain and prevent further damage. To subside the pain and inflammation, you can do cold compress. Use ice pack for 15 minutes several times a day. Do this whenever pain is felt. You can also take over the counter pain-relievers such as ibuprofen or non-steroidal aspirin. While you need more rest when you have tennis or golfer’s elbow, exercise is also very essential to aid faster recovery. The right golfer’s or tennis elbow exercises are made up of gentle, slow and passive stretches and strengthening routines. Note that these exercises are not to be executed when you still feel pain on your elbow. Here’s a good exercise recommendation from the University of Colorado Hospital. Stretching. To stretch the muscles on the top of the forearm, extend the elbow with the palm facing the floor. Use your other hand to pull the hand down toward the inside of your forearm. (If this is painful, try performing the maneuver with the elbow bent.) To stretch the muscles on the underside of the forearm turn the palm toward the ceiling. With your other hand pull the hand down toward the floor. Hold each stretch for 20 to 30 seconds, then relax a few seconds and repeat as many times as possible within 5 minutes. Perform these stretches twice a day during rehabilitation. You should also do them before and after any sports activity that involves the elbow. Strengthening. Strengthening exercises begin with wrist curls, starting with 1-pound weights. To strengthen the top forearm muscles bend the elbow with your palm facing the floor. Curl your wrist toward the ceiling, hold the position for 10 to 15 seconds, then relax the wrist. To strengthen the muscles on the underside turn the palm toward the ceiling. For both maneuvers, perform three sets of 10 curls once a day, every day. Other elbow muscles (pronator and supinator muscles) should also be strengthened by holding the weight with the elbow flexed 90° and twisting your hand clockwise and counter clockwise. Do three sets of 10 once a day. This exercise is especially important for those who have golfer’s elbow. To strengthen additional forearm muscles (digital extensor muscles), place a heavy rubber band over the tips of all the fingers as they are held together and stretch the fingers out-ward against it. Start with three sets of 10 once a day, and then progress to several sessions a day. The activity can easily be done at a desk or while talking on the telephone. You need to avoid re-injuring the same area again; so, you need to be careful with your routines and the things you do. Take break from activities that require repetitive use of the hands and wrist. Also stay away from routines that needs to strong hand grip. When exercising, use the right wrist supports. You could use a counter-force brace. It will help you freely do some twisting and grasping during activities by spreading the pressure throughout your arms instead of being concentrated on the inflamed tendons. Give time for your tendons to heal. As much as possible do not use your hands to lift heavy weights and keep away from tennis or golfing at the mean time. Your healing time-frame will depend on severity and your rehabilitative approach. Severe cases, specifically those that need surgery, can take up to two years to heal. While pain and inflammation can be relatively solved by over-the-counter medication, it is very important that you seek professional help from a physiotherapist. Untreated cases can last from 6 months to 2 years and are prone to re-occurrence; thus, proper rehabilitation is very important. Seek urgent care if you feel your elbow hot, have fever or if your elbow looks deformed or when you can’t bend it. 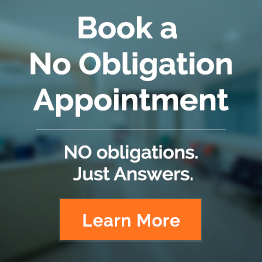 Schedule a no obligation appointment for your golfer’s elbow or tennis elbow treatment.